Please “LIKE” my video to help me become Jamie Oliver’s Food Tube Star! 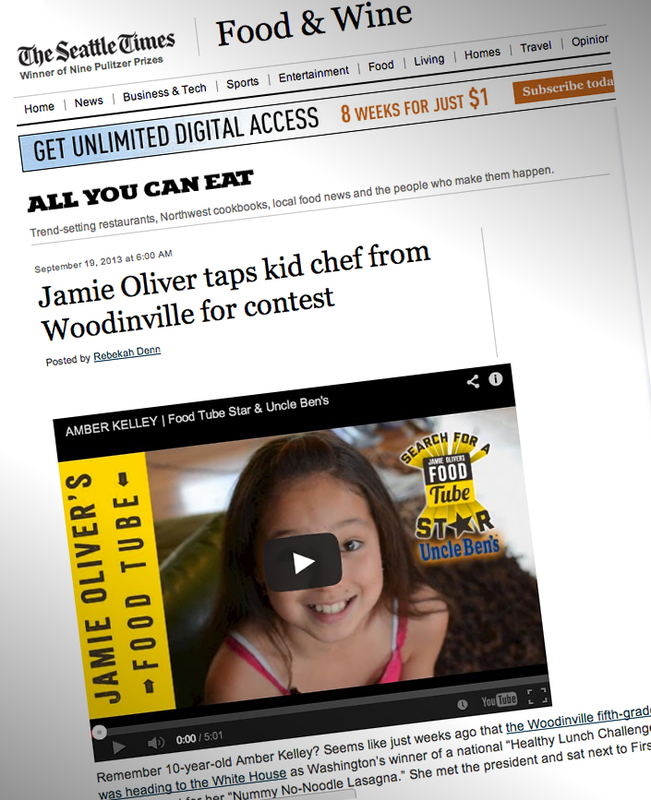 I am SO excited to announce that my video has been chosen by the one and only Jamie Oliver to be one of the top 5 finalists in his “Search for a Food Tube Star” contest! WOOHOO! I am the only North American and youngest (other finalists are adults!) It’s such an honor! Jamie Oliver is passionate about teaching kids how to cook real, healthy food and that’s why I’m so excited about this contest. The winner gets video equipment, but more importantly, mentoring from his Food Tube team and the chance to be featured on his Food Tube site! SO COOL!!! The other videos are super good and so funny too! The most number of “Likes” wins! The contest ends Sept. 22nd, London time. Here is Jamie Oliver announcing the top 5 finalists. Here is a video from Q13 FOX News, encouraging everyone to vote. Thank you Q13! Seattle Times posted this really awesome article! Thank you Rebekah Denn and the Seattle Times for spreading the word about the contest! 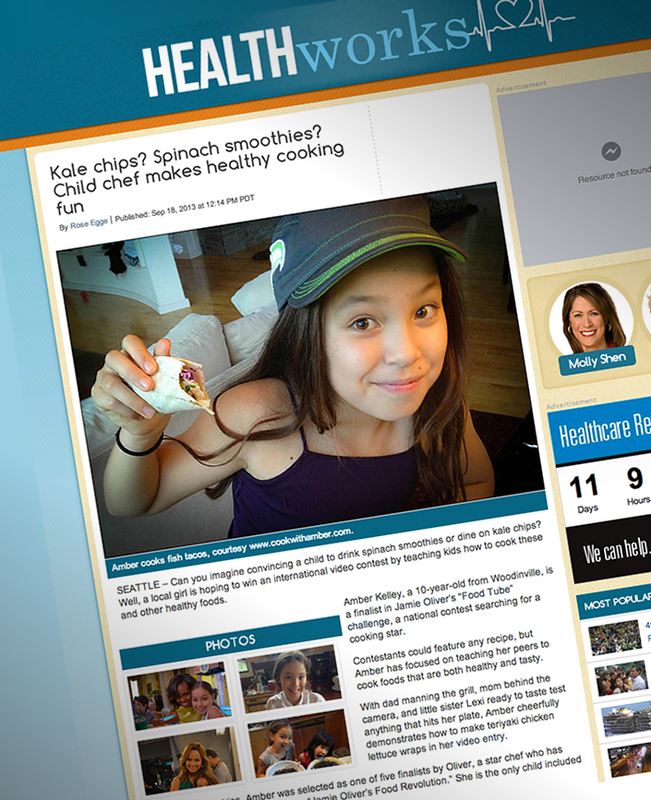 Thank you Rose Egge and KOMO 4 HealthWorks for this really nice article and for spreading the word about the contest! Rose was super nice, and we had fun chatting with her! Being healthy is COOL! Amber, you are such an inspirational and passionate young lady! Good luck honey, we are supporting you and will continue to follow you. I hope this will open new windows for you to spread your message. Thank you so so much Shannon for the nice words and your support! I love your shows keep up the good work. Thank you so much, Fatima! I love doing them, it’s super fun! I’m glad you like the show. Thanks for watching! Hi Naomi! Hooray for being 10! I’m glad you like my show. Thank you for watching!